Hello I am Michael from Leeds, age 32 and I had a FUE hair transplant with Dr Arshad at the Hair Dr Clinic in Dewsbury back in February 2018. I have had amazing results, compliments and feel great! So I decided to have a go at doing a forum of my story to show, advise and answer any questions for other people out there who have just had the procedure done or considering it. I have a Instagram page of my Hair transplant story which I blog about it, If interested in that search "mikes_fue_story. So I will start my story with a before and current 9 months on photo and a brief account of why I had the procedure done, and kinda a little introduction. Then I will go back to the begging and give a detailed account of my story. I hope you enjoy reading and that it helps you with your own hair loss worries or concerns post procedure. I am no professional and will advise you best to my knowledge and from my experience. Ok.. so my profile picture already shows you I have a great hairline again and great density which is why i am starting this way. I used to have long hair in my early to mid 20's and around age 26 I cut it short and noticed along with family and friends say " receding a bit there Michael" and I thought it just because I had gone from long hair to cutting it short so didnt think of it as a issue. getting closer to 30 I knew i was thinning and receding at the temples and often looked into ways to resolve this. Me been weird and into these things I always knew about hair transplants when i wasn't receding. I never liked the FUT method and the having a linear scar. So I already knew about the FUE hair transplant method and was intrigued and would watch videos of the procedure ect. Last years (2017) Christmas dinner with family conversation started about my hairline and that " I was the last in the family people would think would loose his hair" And just as I thought they made comments like I still had a lot of hair still on top and its just receding. I then told them I had actually been thinking of going to see a couple of surgeons for their opinion and quotes, Having a idea of price and amount Id need. Family agreed and said "why not" so in new year I filled in online on 2 websites and awaited their responses. Only the Hair Dr Clinic responded and so I sent in photos, to which they replied to a day later and gave me a rough quote and set up a face to face consultation with Dr Arshad. When I arrived and was met with a warm welcoming and friendly Sommiya who is the Practice manager and she took me to the office where I was met with Dr Arshad. I will pause the story there like I say I will go back to the beginning and give a more detailed account and photos of that stage. If you can not wait then again look up my Instagram mikes_fue_story and see pictures there and feel free to message me there. The picture I have uploaded with this post shows you my hair before FUE procedure with the receding hairline and temples compared to now 9 months + on... Think you would agree there is a MASSIVE difference!! Briefly.. as I will go into more detail in future posts, I was unhappy I was loosing my hair so young... we all do/are. I did not feel I was down and depressed about it but I know I missed it, worried what I would look like bald, felt I still had too much hair to be shaving it down every other day and I know I did not like looking at pictures as been fair haired and lighting I look more bald than what I saw in the mirror. But as soon as the procedure was finished and I was led back to Dr Arshad's office to do the big reveal... I saw a new man in the mirror! I aint the most confident of people but I immediately felt more confident and so much happier as I could see a new full hairline on my head! Hope this has been a nice introduction to my experience and story and I will add more detailed posts and photos soon. I am just happy to talk about it and help advise anyone going through hair loss and considering the procedure. Without sounding cheesy and big headed but this before and after photo speaks for itself and shows you my amazing results so far and the fantastic work of Dr Arshad and the Hair Dr team. February 18th 2018, Today is the day of my FUE hair transplant and I am feeling very excited and relaxed, no nerves or worries. I arrive in good time at the Hamilton Medical centre in Dewsbury which is the location of the Hair Dr Clinic. I enter the reception just before 9am after the 20mins drive from Leeds and am greeted by Julia who is a nice bubbly character and made me feel very welcoming. Sommiya then comes and collects me from reception and brings me to Dr Arshad's office where he awaits my arrival. Both great me professionally and inviting which make me feel very comfortable like I was visiting friends. They was no rush or intimidating medial chat and terms. We discussed the procedure and expectations again and went over the paperwork and I was given some medication to relax me for the procedure. We then discussed the hairline and Dr Arshad began to measure and draw the hairline on, making adjustments to my desire and his professional advice. We wanted a "wavy" natural looking hairline and I could get a good idea of how it would look. Excitement was kicking in now and I was ready to begin. We all then moved down to the theatre which was not intimidating at all and was very sterile and state of the art. Helen, the nurse practitioner was already in the room ready to shave my head for the procedure and then I was invited to lay face down on the operating bed which was comfortable. Dr Arshad then began cleaning my head followed by the numbing injections which I can describe as like the ones a dentist gives you. Where u feel a slight scratch and few seconds later you feel nothing. I had a few of these around the back of my head where Dr Arshad was going to take donations from. Once it was all numb it was a weird and interesting feeling to me like it was ice or concrete as I couldn't feel anything on the numbed areas but was aware of it. Dr Arshad then began to harvest the donor follicles by using a device that cuts around the follicle up to 1mm in diameter and then using small forceps Helen would gently pull them out and put into a dish of solution which cleans and protects the follicles. This first part of the procedure takes up to 3 or 4 hours and I was kept comfortable and informed throughout. 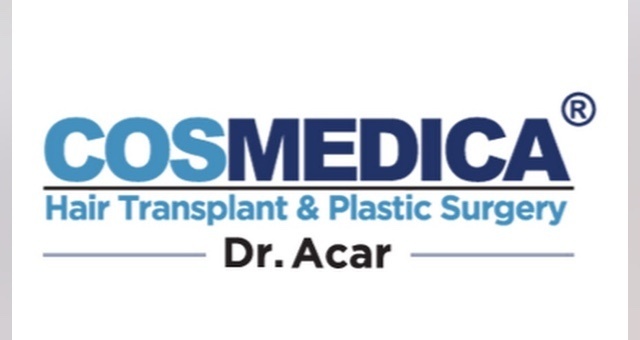 Dr Arshad and Helen told me a number of time I had perfect donor hair, the texture and numerous hairs in the follicle was great and I will get amazing results. At the end of this stage after 3 - 4 hours we was about to take a break for lunch. Sommiya had counted up all the grafts taken and was over 4,000 and I was like WOW as I was quoted 2,500 to restore my hairline but because my donor hairs was great we agreed to use the remaining grafts to back my hair right up to my crown and also correct my double crown that span opposite directions which would give the appearance of thinning. We had spoken about my crown in consultation too so it was something I was aware of. We then had lunch together in the canteen and there was a big fancy pool table too which I watched a entertaining game between Helen and Julia. After lunch we returned to the theatre room and now I was in a sat up reclined position facing a big TV which I settled myself in to sit back and chill out for to hours to come. This part for the procedure was the main part where Dr Arshad uses all his skills and knowledge to give me the perfect restored hairline and fix my double crown which after meeting with him a few time I know he prides himself on his work. Helen too works with him to achieve this and she also has 20 year experience doing this. I felt I was in the perfect hands. I was constantly asked how I was and if I feel anything to let them know, which I did not. This stage of the procedure was fascinating to me and I would have watched it on the TV if I was able to. My head was cleaned and sterile followed by Dr Arshad again giving me a number of injections to numb the top of my whole head. Also he injects a solution into my scalp to lift the skin from my skull. This is for when he is making new incisions for the new grafts and the tool dose not hit my skull. And then between Dr Arshad and Helen they place the new grafts into my hairline, vertex and crown to give me a new full head of hair. This part of the procedure took around 6-7 hours and I was that comfortable and watching TV pain and discomfort free it did not feel that long at all. Around 9pm the procedure was complete and I was cleaned up and told to sit up slowly and take it steady onto my feet. I felt great and my gown was taken off and a dressing applied to my head that had to be kept on for 24 hours. I wore a open buttoned shirt which is very important as you do not want to be wearing clothing that you pull over your head as however careful you try to be you are at big risk of catching and pulling out the new grafts. We then make out way up to Dr Arshad's office where he too is all cleaned up while I was been cleaned up and he then tells me he is very pleased with how everything went and what has been achieved. He invites me to take a look in the mirror and it was seriously amazing! I looked totally different as you immediately see the hairline again on your own head. It looked so natural and I felt so happy and beyond pleased with it. Dr Arshad and Sommiya talked me through what was achieved and the do's and dont's for my aftercare. I was given Finasteride tablets to take daily along with some antibiotics to ensure I do not get any infection, pain relief medication for the first week and steroids to help with the healing and any swelling. Also Minoxidle lotion to apply once my grafts have taken and all healed in the 2nd week. Using Finasteride and Minoxidle following a hair transplant helps the grafts and speeds up the hair regrowth. To finish I felt extremely pleased with the whole process and how the day went from 9am to 9pm. Dr Arshad and the team went above and beyond to ensure I felt safe, happy and most of all comfortable. Assuring me throughout that I have great grafts and will get amazing results. With such a tedious task harvesting and placing grafts for 12 hours the whole team remained professional and in high pleasant spirits and was all about me the patient. I can not thank them enough and also would recommend them to anyone and everyone. They are so caring, professional putting the patient first always. Never felt rushed or intimidated by medical terms as always explained thoroughly and are there for me throughout all my aftercare. I couldn't have chosen a better Dr and Team. I know of my expectations and that my grafts will shed in the coming weeks before the new hair regrowth starts. I am excited and cant wait for the coming months and seeing the whole process unfold. Thank you Dr Arshad and tho whole of the Hair Dr team. I have attached photos of me before my FUE Transplant and pictuers of the donor area and the top and front of my head where the new grafts are placed. I hope this helps with anyone going through hair loss and or considering a hair transplant. Please feel free to ask any questions and I will be happy to help. I had invested in a decent foam travel pillow to help me sleep as I never been comfortable sleeping flat on my back and main worry was rolling onto my new grafts. The travel pillow worked a treat and I slept well and no discomfort or pain. I was taking the medication given to me from Dr Arshad and I felt fine. I mean my head was tender and aware I was healing obviously but was no major discomfort. The travel pillow also seemed to be helping with the swelling on my head which is mainly the fluid Dr Arshad injects to lift your scalp from your skull when making incisions for new grafts. All in all I slept well and work up feeling fresh to say I thought my first few nights would be a problem getting comfortable. I still have the dressing on that I left the Hair Dr clinic with and I am aloud to remove it later tonight. My donor area and new grafts are looking well and bit red as pictures below will show but I am pain free. I am still wearing open shirts and took a shower this morning but taking great care and no wetting my head at all. I had taken a week off work as I work as a social clubs bar steward/manager and usually rushing about so my days plan is to walk the dog and chill out catching up on TV, oh and I am staying at the mothers for the week so getting that bit of help there haha. With this job and living on site when I do take time off I have to move out of my place as my relief has to move in to do the job fully. It is nice to get away tho. I have never really wore hats and I am choosing not to . I surprisingly not that fussed and when I am out walking the dog or at shops I expect to get some looks but again I can not see it bothering me. With work and my customers mainly been tradesmen I am expecting some ribbing and piss taking but it s what it is and I do not want to hide that I have had a transplant done. All in all I am pleased with the hairline and look of my new grafts so far. The donor area is already healing and I am pain free and no discomfort. I keep looking in the mirror visualising what I will look like when hair starts to grow. I already feel more happier and confident. It s already amazing to see a hairline back on my head! Thank you Dr Arshad and the Hair Dr clinic. Your results certainly look good, Michael, so congratulations. It's the first time I've heard of the Hair Dr Clinic in Dewsbury. How did you decide on that clinic? It would be helpful to see more photos of before and after, including with your hair combed back. How many grafts did you have transplanted in all? Hi Sorry I have only just seen this. I work in the bar industry so been hectic over Christmas and just settling down. Yes Dr Arshad and the Hair Dr Team are amazing. Professional, Knowledgeable and approachable. They is no medical jargon spoken to you that you will not understand and they do not rush you to a decision. 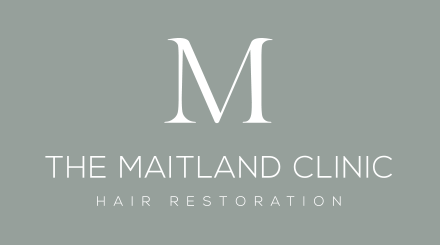 I had approached two clinics, the other never got back to me and the first thing that attrated me to the Hair Dr is they had a pricing bracket on their website so you had a idea on what to expect before a consultation. I can say that you would be in great hands with Dr Arshad. I had been quoted 2500 to restore my hairline and also corrected my double crown so all in all around 4000. Hello I am 12 days away from it been exactly a year since having FUE hair transplant procedure with Dr Arshad at the Hair Dr Clinic and I have updated a picture of the fantastic results. Its been totally pain and worry free through out the year. Even the shedding phase which is bit disheartening and for many people is a worry about having it done but let me tell you the sooner this happens it means the grafts have taken and regrowth has begun! Then month or two after that's when the regrowth comes. And though your hair sheds away you look like before the op as in "bald" but instead of been just skin where you are bald or thinning it is not.. there is a follicle there so is like shaded and you still see the hairline and where new hair will come. I could not be happier and more confident now a year on from having hair hairline restored and so please I chose Dr Arshad and the hair Dr clinic. They have been amazing in every way through out and I look forward to our year on review. Look on my Instagram for photos throughout my year of regrowth mikes_fue_story. Found a pic of me from back end of 2017 and thought id do a comparison photo. Amazing improvement im sure you would agree and money well spent!! I have read your posts and it sounds like you are very happy with the transplant which is great.